Vurdie Eldon Bunnell, age 83, peacefully entered into eternal rest at his home in Seymour, on Tuesday, August 28, 2018 with his loving family surrounding him. Vurdie was born on October 28, 1934 in Sullivan County, Missouri, the son of Thomas Albert Bunnell and Rebecca Ellen (Rupe) Bunnell. He was united in marriage to Janice Kay Curtis on November 3, 1962. In the late 1960's, Vurdie accepted the Lord as his personal Savior. He loved his Lord very much and loved to share his faith with others. Vurdie is now in the presence of his Lord. 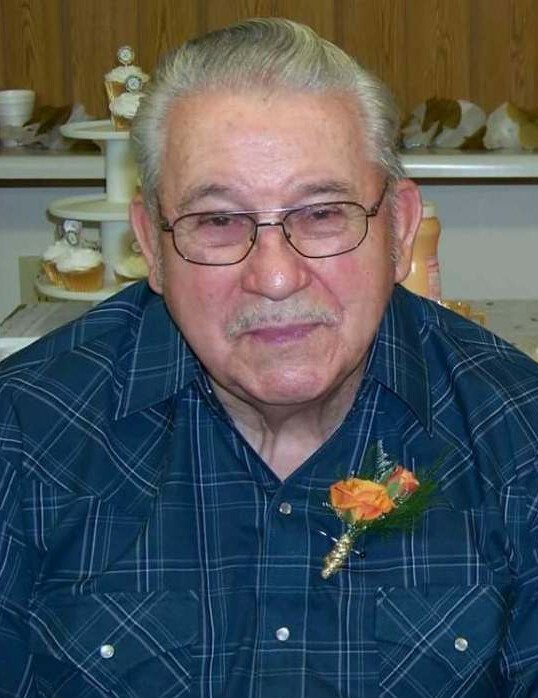 Vurdie was employed as a Foreman at Shivvers Manufacturing in Corydon until his retirement in the late 1980's. Vurdie had the privilege of putting the first Country Clipper Lawn together for Shivvers. After his retirement, he continued his love of tinkering and found great joy in taking junk and making it treasure. He often gave his grandsons advice on fixing their automobiles. Vurdie also enjoyed gardening and loved his onions. He was a family man and enjoyed spending every moment possible with those he loved. Two years ago, Vurdie had a dream of a black and white kitten and shortly thereafter an adorable black and white kitten showed up on his doorstep. He was elated, that cat "AKA" Buster, has been the highlight of his life and has brought him much joy. Vurdie was happiest most of all when he had Janice by his side. Left to honor Vurdie’s memory are his loving wife of 55 years, Janice Bunnell of Seymour; his daughters, Shelly (Kevin) Knott of Seymour, Lisa (Melvin) Green of Centerville, Brenda Novotny of Plano; Debra (Denny) Abraham of Machesney Park, Illinois, and Sheila (Dale) Bowen of Knoxville; his grandchildren, Gavin, Gracie and Galen Knott of Seymour, Jennifer (Raymond) Marks of Moravia, Dustin Saldana of Centerville, Janell (Carl) Sindelar of Centerville, Brandon (Lacey) DeVore of Plano, Blake DeVore of Plano, Justin (Becky) Abraham of St. Mary’s, Georgia, Amanda Watts of Centerville, Scotti (Becky) Squires of Centerville; Zachary Squires of Knoxville, Chara (Mark) Porter of El Dorado, Kansas; 17 great grandchildren; and a sister in law, Judy Morelock; as well as numerous nieces and nephews. Vurdie also leaves 3 furbabies to mourn his passing, Buster, Baby Cakes and Sissy. Vurdie was preceded in death by his parents, Thomas and Rebecca Bunnell; his in-laws, Everett and Doris Curtis; his brothers, Leonard (Lilly) Bunnell, Melvin Bunnell, Gerald (Joann) Bunnell, Gail (Lois) Bunnell, Floyd Bunnell, and Glen Bunnell; and his sisters, Bessie (Justin) Walker, Bonnie Bunnell, Velma (Raymond) Garr, and Mamie (Howard) Garr. Funeral services will be held at 2:00PM, Saturday, September 1, 2018 at Lange Funeral Home and Crematory in Centerville, lead by Kevin Knott, with a prayer conducted by Melvin Green. Burial will follow the service at Southlawn Cemetery in Seymour. Memorials have been established to Vurdie’s loving wife, Janice Bunnell, and may be mailed to Lange Funeral Home, 1900 South 18th Street, Centerville, Iowa 52544. Condolences may be shared online at www.langefh.com.